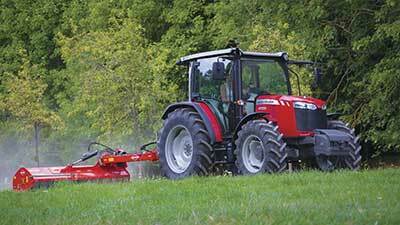 Massey Ferguson is one of the most iconic brands within agriculture around the world. A brand that can trace its history back over 170 years, Massey Ferguson has always been at the forefront of innovation and machinery design, this is epitomised today by the MF Ideal combine harvester. Carrs Billington are proud to be main agents for Massey Ferguson, selling and supporting the full range of tractors, balers, hay & forage equipment, combines, tele-handlers and MF technology. All our Massey Ferguson tractors and agricultural machinery demonstrates continual investment and development to help customers enhance efficiency and economy in a wide range of farming needs. The Massey Ferguson products provide the answers to today’s farmers, whether you are operating in the specialist, dairy and livestock, mixed farms, arable or contracting sectors. Carrs Billington ensure that we support the customer and the product through the initial purchase, with a range of finance and payment options available, to maintenance with in-field backup and a full range of spare parts in stock, or available for next-day delivery. 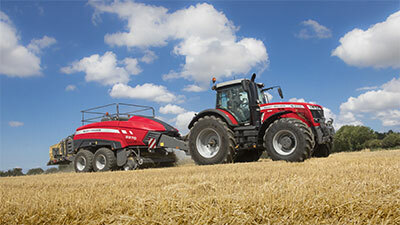 For more information about Massey Ferguson products contact your local Carrs Billington machinery depot.